1. Pass will go into the player that has checked in to receive. 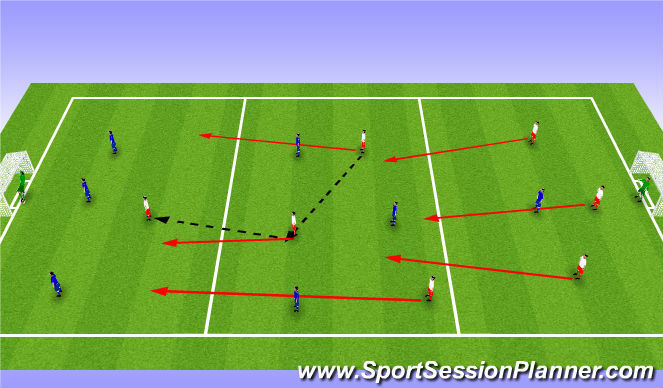 Pass 2 will then happen with the checked in player laying the ball off and spinning out down the line. 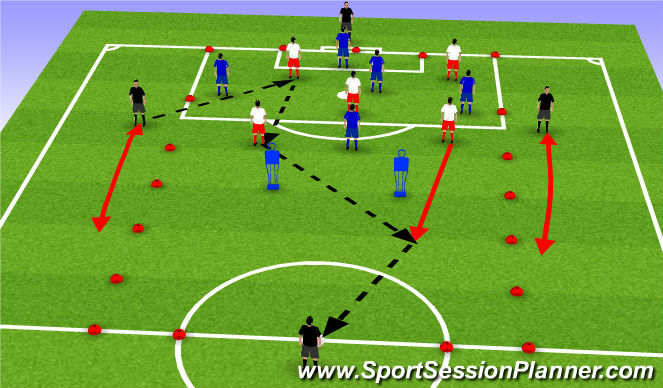 The pass 3 will be played to the player who has span out with a first time pass for 4 to the opposite line. That player will then dribble full speed to the opposite end and start again. 2 teams in the middle area, with 4 additional players on the outside. Players keep the ball and then on the oppertunity play a through ball to a player runnign on to the pass, who then plays to the opposite end player. All inside players and 2 wide players then transfer into the next box and play carries on . 2 teams in 3-3-1 in the sperate sectoions. 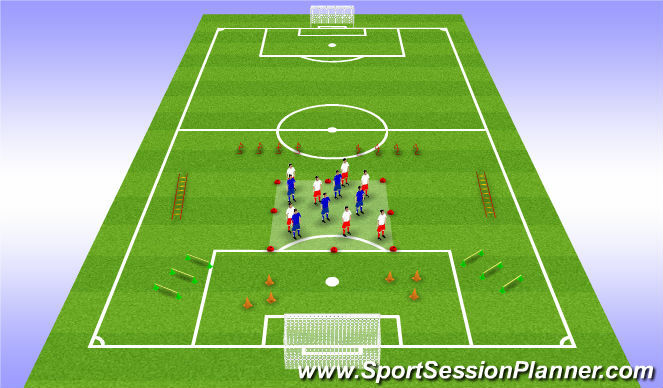 Play starts from keepers, and defenders need to pass the ball into midfield. Players then aim to hit the stirkers feet, and once they have all midfielders must squeeze up into the final area to create a 4v3. If defenders win the ball they can go direct to striker or pass in to the mdifield and defenders/ midfielders must react accordingly.